We tests 13 of the latest routers to see which ones provide the biggest boost to your Wi-Fi network. When you sign up for a broadband deal, your ISP will send you a router that connects to the internet and shares your network around your home. Some ISP routers are excellent, but others don’t perform well, and if you’ve had yours for more than a year or two, you may find it’s become outdated. 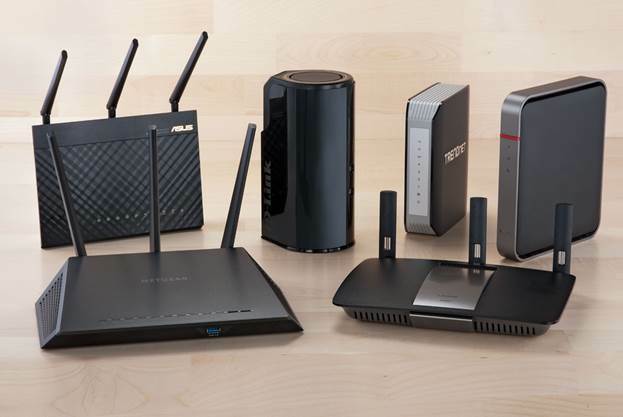 We’ve tested 13 new routers, 10 of which use the latest 802.11ac Wi-Fi standard to provide superfast connections to compatible devices, and put them through a series of tests to find out which models get the best from your broadband. We ran a series of tests on each router, connecting a typical laptop (with Centrino 2 built-in Wi-Fi) to each network and timing how long in Mbps (megabits per second) it took to transfer a 100MB file. We performed the test at a distance of 10m from the router in the same room, and at 20m from the router in an adjoining room. We then repeated the test using a USB Wi-Fi dongle (if available, one supplied by the router manufacturer). 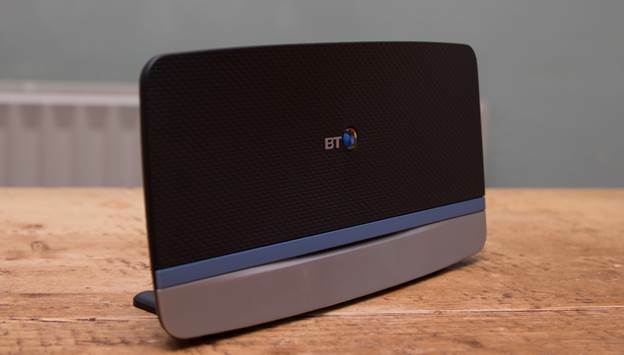 The Home Hub 5 is BT's first 802.11ac router, but you don’t have to be a BT Broadband customer to use it. 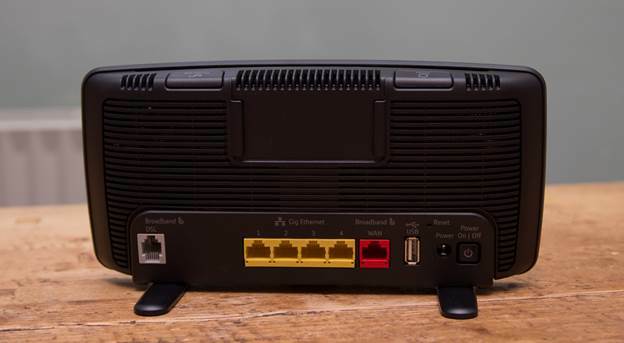 The device supports both ADSL and VDSL (fiber) connections, and there’s also a Gigabit Ethernet WAN (Wide Area Network) port to connect to a cable modem, so it should work with any type of internet connection you have now or in the foreseeable future. There’s a USB port for adding network storage or printer sharing, and four Gigabit Ethernet ports to connect your wired devices. You access the router’s web interface through your browser, where a guided configuration tool helps you set it up. By default, both 2.4 and 5GHz networks have the same name and password, so if you want to choose one or the other, you’ll need to change their names. The basic interface is easy to navigate and understand, and covers the essential features. The Smart Setup blocks some of the more advanced options but it provides a gentle introduction to the router and can be switched off once you know what you’re doing. In our laptop tests, the speed of the 2.4GHz network was among the fastest we saw, achieving 76.7Mbps at 10m (the best performance in this test), but dropping to 11.9Mbps at 20m. On the 5GHz network, the integrated adapter sped up to 78.9Mbps at 10m (fourth fastest) and 14Mbps at 20m. BT couldn’t supply us with an 802.11ac wireless adapter to match the router, though there is one available to buy. Instead, we used a Buffalo AC866, which performed well with the other routers we tested it with. In our 2.4GHz test, we got a 10m speed of 64.6Mbps (third fastest), but couldn’t get a stable connection at 20m. At 5GHz, we saw top speeds of 149.2Mbps at 10m, which was just fifth fastest and 58.2Mbps at 20m. With excellent overall performance and a great set of features, the BT Home Hub 5 is one of the most capable 802.11ac routers around. Whatever you need to connect it to, now or In the near future, it’s up to the job. We witnessed some superb speeds that make it well worth its price. It’s also easy to use, hiding some features from beginners but making them easily accessible when you’re ready to make advanced customizations.